The Covert Stun Master Stun Gun Flashlight is a great addition to your arsenal for self defense. The hidden probes make it look like it is just an ordinary flashlight. If given the chance this ordinary looking flashlight will light a bad guy up and will pump 9,000,000 volts right into any attacker. 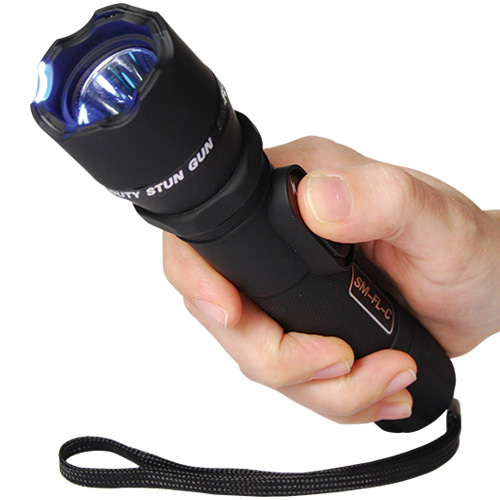 This flashlight stun gun has 4.7 milliamps depending on the freshness of the batteries. It is rechargeable 2 different ways. It can be charged with the supplied wall charger or a cigarette lighter adaptor so it can be charged on the go. Awesome is an understatement! You need to hold this in your hand to feel it's immense confidence boosting power. Get yours today and take charge of the night.